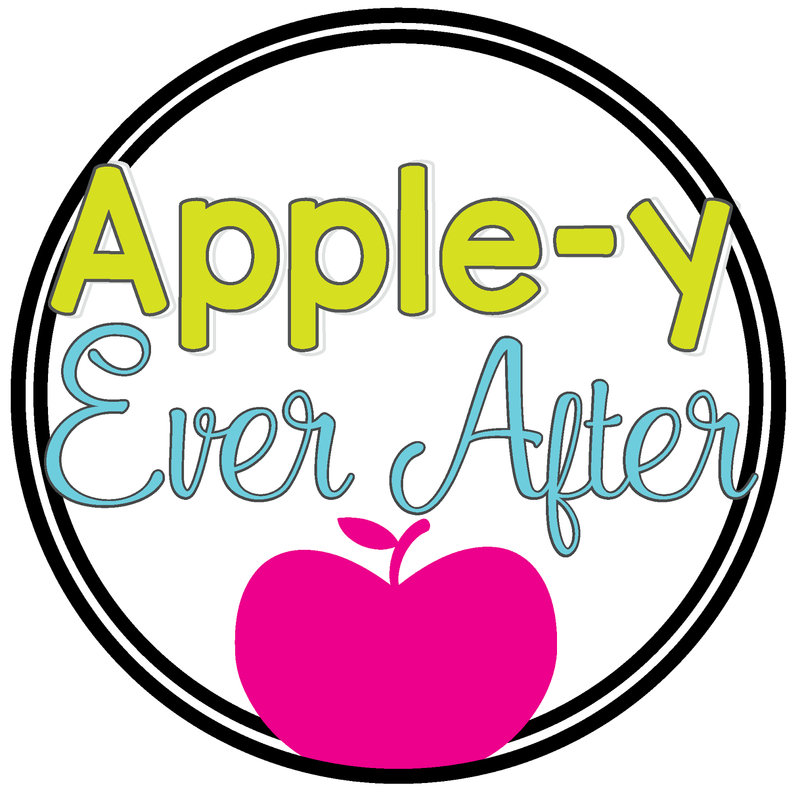 Math Monday Maddness - Apple-y Ever After! Today for 'MATH MONDAY MADNESS' I want to share a tip about my favourite math games, tips and ideas. As we all know, dice games can be loud. I have seen many teachers express interest in using small containers for dice so they don't go flying around. While I do think that is a good solution for some teachers, it is not a good a solution for teachers like me who hate the shake-shake-shaking of dice! Allow me to introduce the Math Plate! Making a math plate is very easy. 1. Go to your local dollar store and purchase small plastic plates. I paid $1.00 for 12 plates. 2. Also purchase a drawer/shelf liner roll. I think this was $1.25. 3. Make a circle template, and cut your shelf liner roll out so that it fits inside the plate. The liner makes the dice silent! Allow me to repeat that... SILENT! What teacher doesn't like silence during guided math games! 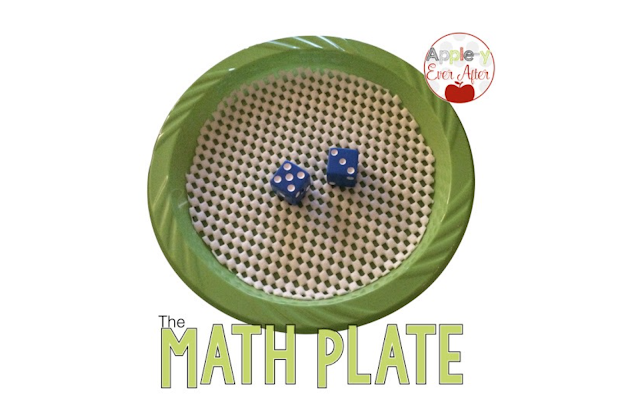 BONUS TIP: I also have told my students that if their dice rolls off of the plate, that means that they miss a turn. Maybe that makes me a big meanie, but it keeps students on task and keeps them playing games for longer without using dice as toys. I hope you find this useful and helpful! As a thank you for stopping by! 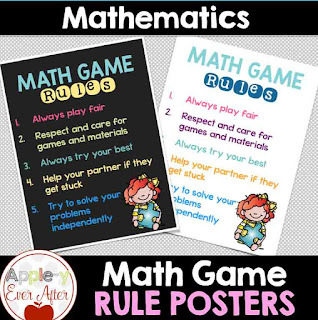 Here is a math rules poster freebie just for you!